Since its formation in 1890-91, the BHRDCA has celebrated 118 completed seasons. Like to know who has taken out most of the top honours? Check out this list complied by Andy Lambert and the Heritage Committee. Visit the heritage page for more articles! This Shield was inaugurated in 2006/07 and is presented to the U16A Champion Team It was named after Ron Hennsessy in honour of his contribution to Junior Cricket as Junior Registrar and Records Secretary. Ron, an Association Life Member was from the Nunawading Church of Christ Club (name changed to Laburnum Cricket Club in 2013/14). This Shield was inaugurated in 2001/02 and is presented for Outstanding Contribution to Junior Cricket. It was named after Tim Moore in recognition of his own personal outstanding contribution to BHRDCA Junior cricket, in particular his 10 years as Junior Section Manager which encompassed a watershed era for junior cricket. Tim, an Assn Life Member was from the Nunawading CC. This Medal was inaugurated in 2013/14 and is presented to the U18 Player of the Year based on votes by the Umpires (Junior Brownlow Medal). It was named after Doug Rickarby in recognition of his significant contribution to BHRDCA Junior cricket and in particular the formation of an U18 Competition. Doug, a former Tim Moore Shield recipient was from the Vermont CC. This Cup was inaugurated in 2013/14 and is presented to the U18 Champion Team. Its name derives from the Sponsorship of the U18 Competition by the Maddocks Sports Cricket Centre and Manager Anthony McCormack. Junior Presentation Night – TONIGHT! 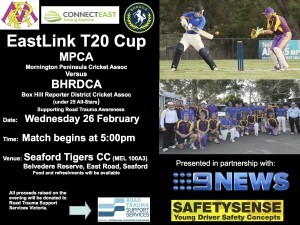 Don’t forget the BHRDCA Junior Presentation Night is on TONIGHT! East Burwood CC @ 7pm. The BHRDCA CoM invites your club to celebrate a great season at the BHRDCA Presentation Night 2013/14. The Under 18 Grand Final was very much a game of shifting feelings and fortunes where players and spectators alike ran the gauntlet of emotions from sheer frustration to exhilaration. The biggest frustration was due to light problems that beset twilight grades this late in the season and having to play the game over three days was difficult for all, that the players handled it so calmly was testament to the strength of both sides and the maturity of these young men. The exhilaration was the last half hour of the contest as the fortunes of both sides rose and fell with every passing minute, never has nail biting been a more apt description of a tense battle. Heathmont batted first and despite an early run-out the second wicket stand between Lincoln Wong and Nathan Mullenger McHugh was looking ominous for the Eagles before Nathan fell in the battle of the hyphens to Shehan Kudage-Don to finish an excellent 44 run stand. Lincoln was joined by Dylan Howard and again a big target looked probable. Again it was a brilliant run out that sparked the Vermont revival with Lincoln departing for an invaluable 45. 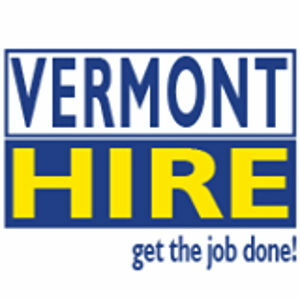 For Vermont James Morrison and Ryan Phillips began to make further inroads into the batting lineup both taking 2 wickets apiece with James being particularly hard to get away. Finally on Day 2 the Heathmont innings closed for 142 with a 3rd run out closing proceedings. Vermont had every right to feel satisfied with their efforts and favouritism had shifted slightly in their favour but there was a resolve from the opposition that they had the runs on the board and could defend them. 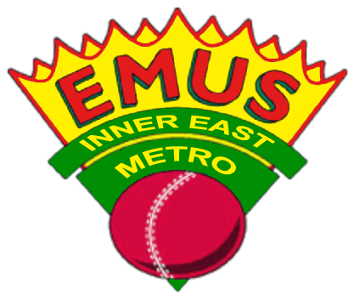 The Eagles also suffered the loss of an early wicket with Ben Gibson caught but new batsman Conor Spinks joined the norm Angus Hands and they gradually began to claw the runs back against some great bowling bringing up Vermonts 50. Then as the day drew to a close and Vermont clearly on top there was a mini-collapse with two quick wickets thanks to Tom Delaney and the game was again precariously poised going into day 3. Beautiful weather greeted a good and vocal crowd for day 3 and Vermont were quickly into stride and there target drew closer at an alarming rate for the Heathmont boys. Angus Hand brought up a great 50 but at 109 (42 short) he lifted one too many and Vermont lost wicket no 4 but they were still well in command of the situation. James Morrison and Ryan Phillips added 14 more valuable runs before James also failed to clear the fielder and the Heathmont bowlers visibly lifted. The Vermont supporters were still confident with Buckets at the wicket and a straight drive for 6 was met with huge applause and then came the moment that to many swung the match. Ryan clipped the ball of his pads to what looked like a certain 4 just fine of square leg. Lurking there was Steve Brown and he launched himself through the air and two handed pulled in the catch of the season, spectators from both teams rose as one and applauded such a great effort, still with 3 wickets in the shed and only 15 runs required the match was there to be won by either team. There was a shocked silence as Dylan Howard in the middle of a great spell of bowling slipped the next ball through Max Healey’s defence and nails were starting to be chewed down to the quick. Ned Coghlan was desperately trying to keep bat on ball and eke out the final runs and the last over commenced with Vermont requiring 7 runs but 9 wickets down. Three singles and an overthrow brought on by the pressure edged the Eagles closer but with 1 ball to go and 3 runs needed a 4 was essential. The last ball was struck well to leg and the batsmen ran two while the Heathmont fieldsmen kept their cool, got the ball back to the keeper safely and Vermont were left stranded by the solitary run. Dylan Howard’s 4 wickets to support his 25 runs won him the player of the match but in the wash-up everyone agreed cricket and sportsmanship had been the winners on the day and both teams did their clubs proud. McIntosh Shield starts at 12:30pm – Day 2. It’s official…we’re counting down to the match of the season! 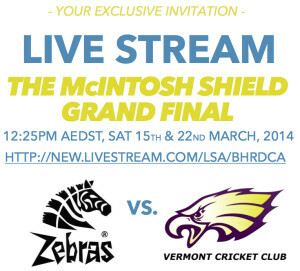 Streaming live from Morton Park, Blackburn, this is your front row seat to the Box Hill Reporter District Cricket Association’s McIntosh Shield Grand Final. 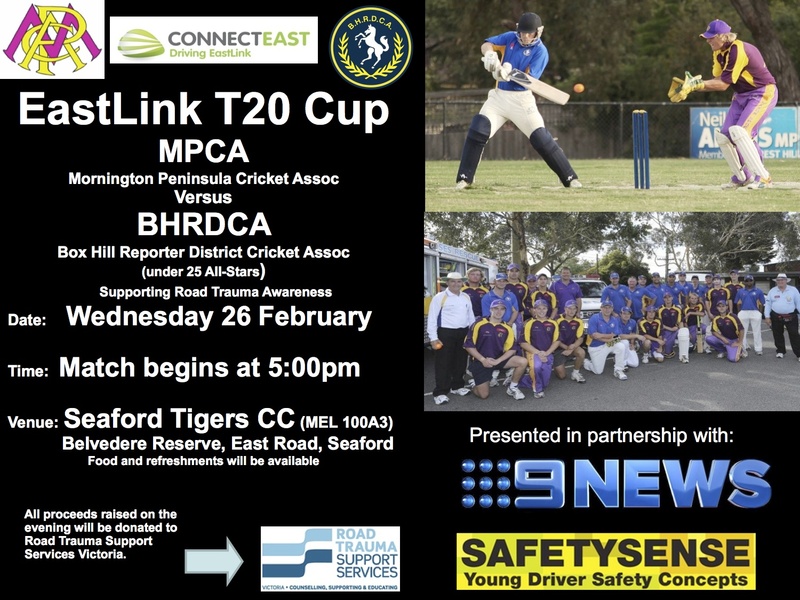 In a first for metropolitan cricket in the state, if not the country, if you can’t make it to the ground the entire Grand Final will be broadcast live meaning you won’t miss one ball of the action. 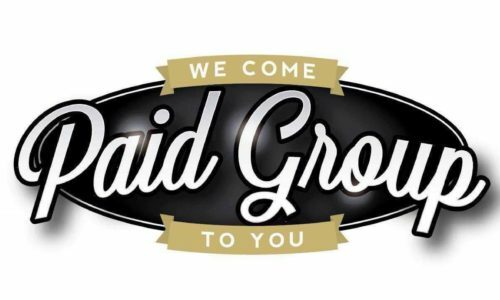 Where the grade from and two are the same, the permit has been granted to a player who may not have played the required number of qualifying games. This is often in the one day grades where the loss of a round to heat and byes in some grades made qualifying harder this year. The BHRDCA is proud to be a supporter of a new online program to support men and their families dealing with prostate cancer. Over 20,000 men are diagnosed with prostate cancer every year – making it the most common cancer in Australia (excluding non-melanoma cancer). We have over 900 men playing in our Veterans comps, so raising awareness is vital to ensuring our dads, uncles, brothers and even some grandpas are informed, know the numbers and become mindful of the risks. 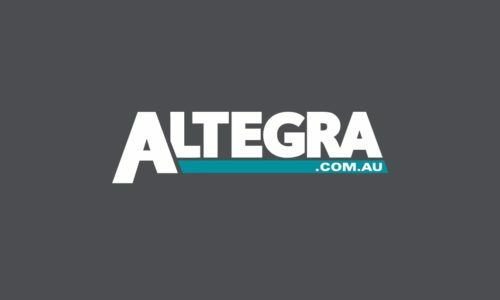 A new program launched by Australian Prostate Cancer Research in late 2013 is now helping men all over Australia to become more informed, and for those with prostate cancer, providing support to manage their health. PROSTMATE is a free, confidential online program providing personalised information, advice and support. It includes tools to track progress, treatments and appointments, self-help programs and offers online telehealth consultations with prostate cancer experts. We recommend you check out PROSTMATE today and share this link through your club. After an extremely exciting lead up to the semi finals they are finally upon us. To all Clubs throughout the year thank you for your hospitality it is much appreciated. I have been concentrating on the lower grades this year where cricket is just as important if not a little more relaxed, it has been wonderful catching up with people I have known for many years. To Clubs participating in finals all the very best, let’s hope the weather holds out. We have had a great year with outstanding performances in all grades. As to who has won the McIntosh Trophy my lips are sealed, feel free to check out my Face book and you will be surprised who you recognize from previous years, I have had some very interesting comments. I will not comment on whom I think will win McIntosh Shield but I have an idea after watching performances throughout the year. Don’t forget the BHRDCA Presentation Night on the 4th April and please feel welcome to bring wives/partners or daughters as last year the women nearly out represented the men. It is a night to acknowledge the winners and their achievements and to meet ministers, councillors, sponsors and of course friends. In partnership with the team at MySportlive, the BHRDCA are excited to announce the 2013/14 McIntosh Shield Grand Final will be streamed LIVE. This is significant first for the competition and ground breaking in metropolitan cricket. We will publish details of how you can get a front row seat soon. In the meantime, if you would like to get involved in sponsoring the event, please view the sponsorship packages we have available and contact Emma Boschetti 0420 906 197 by FRIDAY 7 MARCH. start times are the same as normal for each grade. That is 1:00 PM for all grades except D, E & F who start at 1:30 PM. On Saturday there was an end of an era at Yarraleen CC when a gentleman of the game played his last match. Peter Saville played in his last match in the One Day C game against Mulgrave Wheelers Hill CC which I am told also brought up is 450th game. Peter is a wicket keeper and took a catch and a stumping to prove the skills are still all there in Yarraleen’s strong win. We wish Peter all the best and thank him for his contribution to BHRDCA cricket. The Glen Waverley Hawks Cricket Club would like to acknowledge and congratulate Glen Mahoney who played his 300th match for the club on Saturday. Glen is only the third player in the club’s history to reach this milestone. Glen first played for the club in Under 16’s in the early 1980’s and is the leading run scorer in the club history, just shy of 10,000 runs. He has played in 5 premierships which includes all three of the club’s A1 premierships and recently captained our club’s 2nd XI to back to back Wilson Shield 2nds flags in 2011/12 and 2012/13. He also has a distinguished record off the field having served as President from 2005/06 to 2007/08, Treasurer from 1993/94 to 1994/95. His contribution to the club was recognised in 2000 when he was awarded Life Membership. The Mahoney name has featured throughout the entirety of the club’s history with Glen having played with his late father Jim, who also coached the club, and now currently playing in the same team with his son Mitchell. Congratulations Glen on a fantastic achievement. The captains and Umpires meeting will be held Wednesday March 5 at VERMONT CC 7.30pm. This is a compulsory meeting for all sides with teams in finals. The expectation is the captain from each competing side will be there but each competing club MUST be represented. The next delegates meeting is Tuesday March 4 at 7.30pm at East Burwood. Please ensure ALL My Cricket is completed asap and umpires reports are sent in asap to help with finals information and allocation. After the Heat Policy cancelled week one all games reverted back to One Day fixture. Box Hill North Super Kings taking on the Zebras posted 230 as Russell Arnold continued his impressive season with 62, while Russell McManus 4-45 gave the Zebras some hope. Rain would have the final say with Forest Hill 0-105, Ben Johnston 66x, ending the match in a draw. 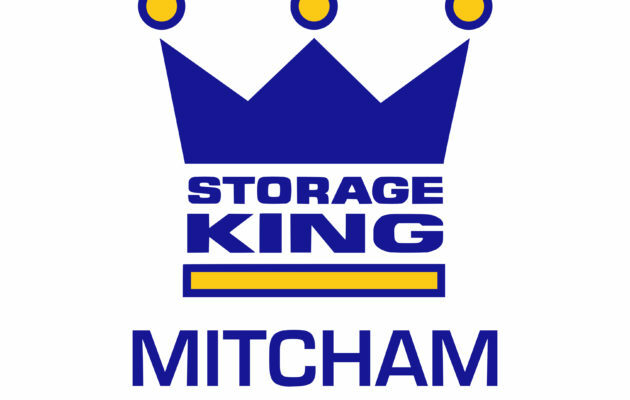 Super Kings are well placed going into the last game of season. East Burwood batted first at Blackburn South and posted an imposing 8-326cc with Sean Bramstedt 133, 10 sixes, driving the total and putting his claim as to one of the best batsman in the competition. Sincock chipped in with 71. Blackburn South could only muster 164 with Steve Mundy 49, while Sean Bramstedt 4-42 did the damage as well with ball. In a must win game to stay of relegation Templestowe would pass East Box Hill’s 7/155 in the 28th over calling it a day at 6/156 with Nishida Sopariwala’s unbeaten 66 being the highlight. Vermont made 6-227cc with the experience of Bradd Taylor 79 leading the charge well supported by Mitch Rickarby, 40, demonstrating his all rounder talents. The Eagles defeated St Davids who could only manage 155 with Chris Bell’s 4-44 doing the damage. A good win which will give the Eagles plenty of confidence heading into the finals. In other games Bulleen Templestowe 5-162 had the better of Heatherdale 7-158cc to continue a disappointing season for the Dales and virtually ensure finals action for the Bullants. Pushing for finals Blackburn 5-166cc with Skipper Luke Davis 80* once again leading the way, defeating Mitcham 9-145cc with Mark Wheeler’s 52 the only bat to get going. The Tigers now face a must win last game to remain in McIntosh Shield next season. Laburnum 4-221cc B.Leed 70, Henderson 60 d Kerrimuir United 9-156cc Jordan Wise 40, Taylor 4-45. Laburnam remain in finals contention while Kerrimuir now must win at home to GW Hawks to ensure their season is extended. Looking to consolidate its top 4 spot Vermont South compiled 6-260cc with Lahiru Anthony 75 the pick of the bats. Mulgrave Wheelers Hill only scraped together 104 with Anthony 5-15 completing a great double. In a must win game Eley Park 8-157cc chased down Heatherdale’s 150, Graham Elliott’s 50 wasn’t enough and Ross Pryde 5-34 did the damage with ball for the victors. Glen Waverley Hawks made 9-167cc, Apurwa Sarve the best with 51 and Nick ‘Bongo’ Greenhalf, taking 3/40. Koonung Heights secured a home final chasing them down to finish on 6-171, Greenhalf with 50 completing a good day out. While ladder leader Blackburn North 4-131 (D.Wayman 61) had no trouble with Doncaster 9-125cc who were best served by Mark Albiston 51*. MATCH FORMAT: 20 OVERS EACH SIDE – 1 SUPER OVER FOR TIED GAME. All senior grades to wear black armbands this week and all juniors to observe a minutes silence. All senior sides are asked to wear black armbands as a mark of respect for George Murphy and Fred Watson who have passed away in the last 10 days. Both were much loved life members of the association and further details on their contributions will follow shortly. 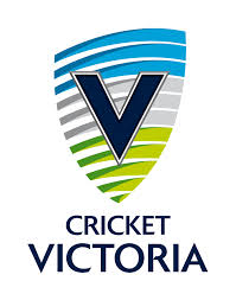 Cricket Victoria have also asked clubs to wear black armbands as a mark of respect to Luke Batty and the Tyabb CC. In support of the family and friends of Luke Batty and the Tyabb Cricket Club, all BHRDCA junior teams are asked to hold a minutes silence before the commencement of each match as a mark of respect. We are pleased to announce ANTHONY SMITH from Blackburn CC as the BHRDCA U/18 rep side coach for the upcoming game against West Gippsland Cricket Association. The Mackay Cup Under 16 VMCU Carnival side coached by Steve Carusi will also play West Gippsland on East Burwood Oval 2, so this should be a great day of cricket, so drop by and support the boys on the day. 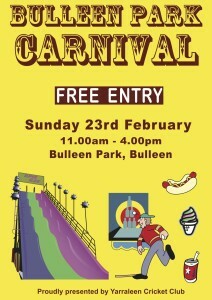 The Yarraleen Cricket Club is holding its first Bulleen Park Carnival. Entry is free! Family and friends of the local community & BHRDCA are cordially invited to enjoy a fun and exciting day at Bulleen Park Carnival. Due to the Saturday forecast of 40c, ALL junior and senior play scheduled for Saturday 8th February has been cancelled. All scheduled 2 day games will now be played as a one day game Saturday 15th February, weather permitting. 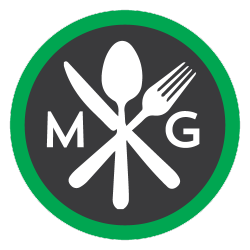 Permits may be reapplied for. Due to the current forecasts of 40 Saturday and 39 Sunday, I must inform you that in consultation with Michael Sukkar’s office Sunday’s charity and community games have been cancelled by the association hence this early notice. I am very appreciative of the work the participating clubs have put into this and I know that there will be a number of very disappointed kids who were looking forward to representing BHRDCA for the first time in their lives. This was a very important initiative for the assn and the opportunity of raising money for charity is one that we want to be part of in the future and hopefully will become a permanent fixture in the junior calendar. Therefore we are negotiating an alternative date, probably just prior to the start of next season. Again thank you for your hard work, support and understanding.